After Cherry Mobile and Starmobile announced their first octa phone, MyPhone is now ready to compete and market their own version of 8 core powered Android phone. MyPhone Agua Infinity is the first octa core smartphone of the company and first spotted on their first Youth Tech Congress event held at SMX Convention Center beside MOA, Pasay City. 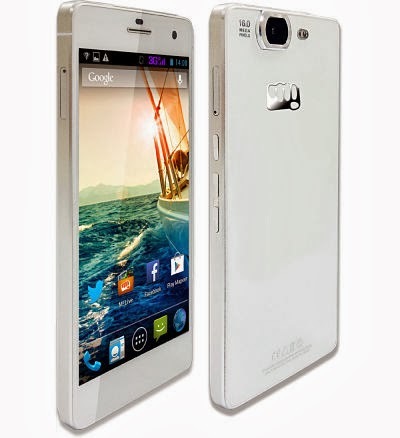 Based on rumors from some tech bloggers, Infinity specs, features and design are closely similar to MicromaxA350 Canvas. Though we have not read or heard official confirmation from MyPhone on the release date, Infinity will be available soon as there are already some sample units. Other specifications and price of MyPhone Infinity is still unconfirmed (marked with '*'), we will update this once we receive and gathered official announcement from the company. By just looking at the initial specs of this phone you can say that it can handles most of the task you throw in it like gaming, large apps, downloading and streaming. Added to that is the camera that can capture good quality photos and selfie shots. MyPhone is the third to offer octa core processor powered phone on our known local brands in Philippines. This may not the last as there are other local mobile company market players who are starting to boost their products and willing to compete on well-established brands. Hopefully we can here another octa core phones from Cloudfone, DTC, Torque Mobile and SKK mobile. You can check out other octa core phones from THL and Umi as they also offer competitive price and specs on the market today.